I read a book on self hypnosis called instant self-hypnosis by Forbes Blair. In my opinion the book actually works. I just wanted to ask if anyone can lead me to a book or to online material for a self-hypnosis astral projection guide? If it's an audio I don't want one with a voice (guided meditation) only just music (like binuaral beats). Hum nobody else helped you yet. I think I can guide you in the right direction. OK well what you can do is download torrents about astral projection and self hypnosis, or whatever it is you want. Just google the top torrent websites, and use one of them. 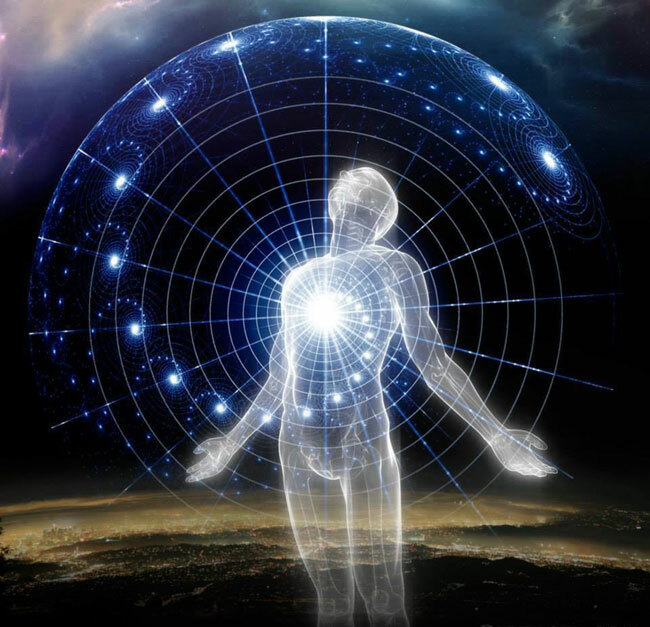 Download a Torrent client like qbittorrent then click on the magnet icon and you can download all kinds of stuff including astral projection books, self hypnosis books, and binaural beats. Just be careful though some of it is illegal to download. And careful to not download malware. And be careful to not download anything else when downloading a bittorrent client. Edit: In fact if your not experienced downloading software I wouldn't take this route as I wouldn't want you to accidentally download something you don't want to, such as malware. There is also a yahoo self hypnosis group you can sign up for. Also a very common astral projection binaural beat CD set is hemi sync. Or just Google search "self-hypnosis astral projection"
Furthermore you could also download a Firefox add-on called netvideohunter. Then use that to download youtube astral projection self hypnosis binaural beats or whatever it is you want, and then put those downloaded videos onto your smart phone if you have one. Then hook up your headphones and your ready to start tripping. No I'm kidding. Good luck luffy28. If you need any help let me know. There are a number of books on a.p. You can find a bunch of guided self hypnosis videos on you tube . On a.p. torrents bgtscene may have some . I have the Steve G Jones program but at track 4 it got kind of confusing. When he's speaking it's confusing. I'm going to look up a chakra meditation to prepare for the kundalini meditation. Is this a good link could you or someone else explain how self-hypnosis could help me with it. If you tell me exactly what Steve G Jones said perhaps I can help you. As far as that link goes well I've read Robert Bruce's material, he is an experienced astral projector. And he's got some good material on how to astral project for free online. So self hypnosis if used correctly should help you set an intent with a goal and help you stay focused throughout your practice to reach your fullest potential without doubts a fewer hang ups while actually in practice. Self hypnosis works best when our conscious mind is the smallest. That is when it really shines, eg dreams, lucid dreams, unconscious OBEs, or just before exiting during astral projection and stuff like that. There are certain rules such as staying positive. Like you don't want to say "I don't want to experience problems while astral projecting." Or "I don't want to see demons after I astral project." Hahaha because what will happen is the subconscious mind will interpret the no as yes. It's like telling a child don't do something and they do it anyway. That is why you direct the child's attention to something positive. Same with hypnosis and affirmations. Also there is an exception to that rule, unfortunately I forgot what that was. But you can probably find it with a little google search. Good luck. If you need any help with anything in particular let me know. It's good, but it takes a lot of effort and I'm probably going to read the other book the author made about self hypnosis. I also just did a progressive relaxation and chakra meditation. I achieved it with doing a guided meditation with my mental voice in my head and it ended up working. When I can I'm going to do track 5 from Steve Jones ap course which is the kundalini track / lecture. If you like Robert Bruce I just found this off the internet. Also let me warn you that using headphones or binaural beats might actually hinder you from astral projection as it could distract you from going inward. Because these things could be outward distractions. But some people have used them successfully to help them project. So it all depends on yourself. If you don't make progress with these or you stop making progress at some point. I would just try to astral project without any external stimuli of any sort. This reminds me of another technique. If you want to straddle the line between being awake and being on the verge of total relaxation to project. You can use a timer in your hand to beep every 4 minutes or so to keep you just awake enough to keep practicing without fully falling asleep. Again if it you think it might be hindering you don't use it. 1. Take several deep breaths and completely relax. Become comfortable in your designated out-of-body area. Close your eyes and begin to focus your attention just above the crown of your head. Concentrate all of your awareness above your head until the sensations of your body begin to disappear. 2. As your physical sensations begin to fade, softly intone the sound OM seven times. Let the sound resonate through the top of your head. 3. Repeat the OM sound in your mind seven times. Be completely aware of the sound resonating in your mind. Let the sound rise through the top of your head. 4. Focus all of your attention on the very core of the resonance and allow the sound to slowly ascend toward the ceiling. Feel your awareness merging with the sound. As much as possible, become one with the rising sound, as your body becomes increasingly relaxed. 5. Feel your awareness rising with the sound. Become one with the OM resonance. Enjoy the sound and flow with it. Feel yourself become lighter and lighter as you float with the sound. Allow your physical body to rest and sleep as you focus all of your attention on the rising sound. Maintain all of your attention on the rising sound as your body falls to sleep. As you begin to fall asleep concentrate all of your awareness on the rising sound. This technique can be effectively used with an out-of-body induction sound tape. When using any external sound system, remember to focus upon your internal sounds. The external sound is only designed to be a reinforcement and enhancement of your own voice." He's also referring to the life force sound here. That is what your really looking for in any binaural beat, is to tap into the hum of the life force. It's also called inner sound current, or whatever you want to call it, it's that ever so slight sound of the body humming when your in total silence. That is really want you want to tap into when you use any external or internal sound. You might check local new age /med. phy. stores . If you want guided self hypnosis cds/dvd/mp3s . Dic k Sutphen , Barrie Konokoff , W. Bulhman , and others have made a number of them over the years . I don't understand what this means. May someone please put it into regular English especially 2 and 3? 2. As your physical sensations begin to fade (all this means is your body will stop feeling sensations. Actually some people feel "vibrations" just before they astral project while other don't feel any vibrations at all. So this actually varies from person to person. ), softly intone the sound OM seven times (this just means to say or recite with a little rise and fall of the pitch of the voice the sound OM. It's a common sound meditators use for meditating). Let the sound resonate through the top of your head (Meaning don't block the sound in your mind and body and try to let it resonate or move through the top of your head where your crown chakra is.). 3. Repeat the OM sound in your mind seven times. Be completely aware of the sound resonating in your mind (All this means is to feel the sound you are making vibrating through your mind and body). Let the sound rise through the top of your head (loosen up the top of your head so that the sound can go through the top of your head). Do you know what the sound OM is? Ohm is the universal word . The Eck. people might say it was hu tho. If any one hear does not know about ohm or Eckencar s hu . When i was younger, before i had any knowledge and understanding for these kind of topics, i was sitting outside and for some reason the thought popped into my head what om was and why all these ancient traditions seemed to aknowledge its importance. It was something i was never able to place or interpret so it just faded into the back ground as just another cool experience, until 3 years ago when i started to research the metaphysical , ancient traditions , new explorers and how the all related to each other. One of the most interesting ideas i came across was the use of om to expand conciousness. The idea is this, source ( unmanifested ever concious ever existing ever new bliss ) vibrated a part of its infinite self outwards. From that vibration all things came into being, which is begining to be known by science as the wave and particle ( the wave being the underlying om that all comes from). Now through meditation a person can reach a state of oneness or samadhi were observing the observer and the observed all become one, so if you meditate on om through listening to the ringing in the head following it to subtler and subtler internal sounds you will get to the the basic vibration that all manifestation springs forth from, and if you get to a state of oneness through deep concentration/ meditation on that sound you will have the experience of being all of manifestation. If you study the origional ancient traditions of hinduism and christianity before the dogma and opression came into play, they all say the exact same thing just in different metaphors. Christianity says the same thing just in a different metaphor , through meditating on the holygbost / om one realizes the perfect reflection of the fathers conciousness in creation as christ conciousness / the only begotten son and everyones eventual realization of there unity with that. Now i have never bin religious nor am i now, but i find the ancient models of conciousness very interesting and worth a look at. Personly i think thats what happened to me when i was younger because when my conciousness expanded with the om and i became everything . even though it was just a glimpse it was the most real and vivid experience of me entire life, and now i know that state exists, and if the ancient traditions are correct every saint in history has bin trying to teach people how to reach that state. Im not in any way saying thats THE WAY just my own experiences and conclusions at this point in my journey. Another interesting note is near the end of franks posts he starts to discover something beyond f4 were he says his conciousness would expand to infinity, but he disappeared shortly after and never got to fully discuss it here. And again near the end of monroes ultimate journey he describes something similar. Im interested to hear your opinions on this. I'll try that I found an open source / free book here offered by the official author. It's alright. I've read the hypnotic inductions a few times into a voice recorder on my phone. On the first recording I was slipping up and not reading it correctly. Now I still have some problems slipping up and not reading correctly but I've become better at it with a few recordings. I don't know if I can post it here but if I can I'll post the custom script I made. I also used it last night and only felt somewhat (to a certain degree) separated from my body. I might have to use it a couple more times so I can finally ap. I'll post the script I wrote if someone replies back.